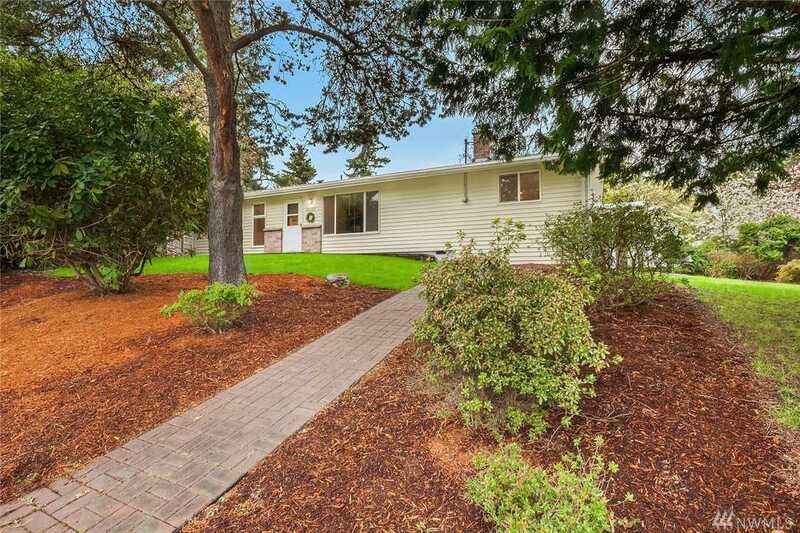 Beautifully remodeled home in convenient Downtown Bothell. 3 BRS/2.5 Bath Home features NEW Furnace, Water Heater, Carport & TRE Deck! Meticulously remodeled kitchen and Baths w/ceramic tile floors, quartz counter tops, SS App. & Maple Cabinets. Refinished Oak Floors w/2 masonry Fireplaces, 1 in LR, 1 in FR/Den or Guest Suite! 1 Mile N of Bus. Dist. & close to Pop Keeney Stadium. Bothell landings, H.S., UW Campus. Directions: From DT Bothell go north on Bothell-Everett HW, turn East (R) on NE 190th St. Turn North (L) on 100th Ave NE to NE 200th St. Turn East (R) on NE 200th to House on Left.